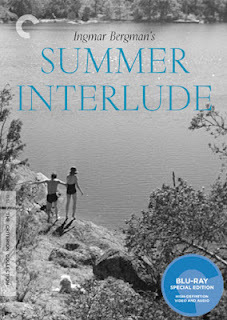 Blu-ray Review | "Summer Interlude"/"Summer with Monika"
Having already released most of Ingmar Bergman's most well known works in one form or another, the Criterion Collection has set its sights on two of the Swedish auteur's lesser known works, that are nevertheless just as important in the evolution of his career as 1957's one-two punch of The Seventh Seal and Wild Strawberries. While those two films effectively launched his career on the world stage, asserting his directorial voice and establishing him as one of the premiere art house filmmakers, Bergman had been quietly honing his craft and developing that voice for years before. 1951's Summer Interlude and 1953's Summer with Monika represent a kind of early career renaissance for the director, marking a very specific shift of POV from male-centric to female-centric that would inform the rest of Bergman's career. While not directly linked in anyway, both films share a kind of spiritual bond that is unmistakable. Both deal with young love in the Summer, but arrive at very different places for the central couples. A scene from SUMMER INTERLUDE. In Summer Interlude, a ballet dancer (Maj-Britt Nilsson) is suddenly reminded of an old love affair with a young student (Birger Malmsten) that ended in tragedy when his journal unexpectedly arrives at her door. As the story unfolds we begin to understand the walls she built around her heart, even in her new relationship with a young journalist. 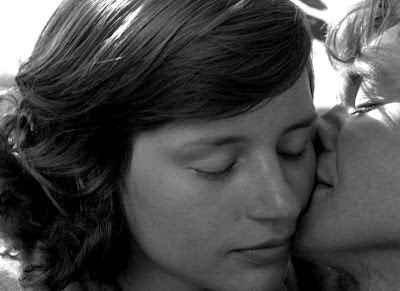 While the film doesn't stand with Bergman's very best work, there is something about enrapturing about the deeply personal way in which he illustrates the hazy memories of summer love. Based on his own experiences, Summer Interlude is a lovely study of grief and recovery that deals in some of Bergman's favorite themes, especially in its connection to the theatre. While still not the master he would become by the end of the decade, Bergman's grasp of the cinematic language is clear, and was honing his craft into something that would soon develop into something legendary. Surprisingly, the transfer is less that pristine for a Criterion release, with some light damage to the print, especially in the final reel. The rest of the film looks pretty impressive, but the release is completely devoid of extras, save for an essay by Swedish cinema specialist, Peter Cowie. Summer with Monika, on the other hand, is both a superior film and a superior presentation. 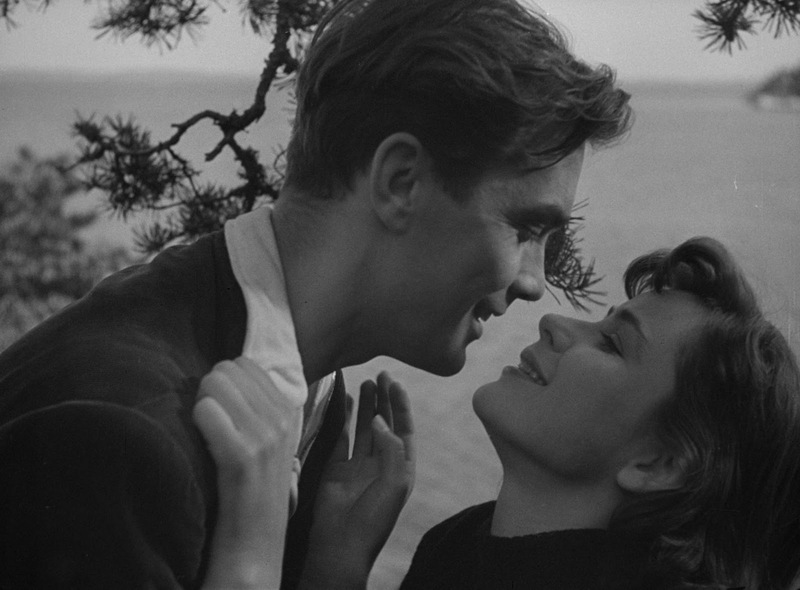 In some ways it is a perfection of the the themes explored in Summer Interlude, as a teenage couple, Harry (Lars Ekborg) and Monika (Harriet Andersson, with whom Bergman was having an affair during filming), run away from home to spend a languid summer making love and living off whatever they can swipe from local farms. At first it seems like a template for every summer romance that has been made since, presenting itself as an idyllic portrait of young love in that most magical of months when everything seems to fall into place against the shimmering waters of the sea. But then reality sets in, and just when we think we know where Bergman is going he pulls the rug out from under us. Monika discovers that she is pregnant, and when the two of them return home from their romantic sojourn, they are faced with the consequences of their actions - new-found responsibilities that neither could have expected that will test their love that once seemed like it would last forever. A scene from SUMMER WITH MONIKA. Bergman deftly introduces a dose of hard reality to the naivete of the idealistic youth. It's what makes Summer with Monika such a poignant and heartbreaking film, something Bergman hauntingly sums up in a chilling close up of Monika (and later mirrored by Harry) that breaks the fourth wall and stares right into the soul of the viewer. Monika's piercing gaze, so full of defiance and inner turmoil, seems to dare the audience to judge her for her actions, while at the same time embodying a kind of tragically wasted youth. 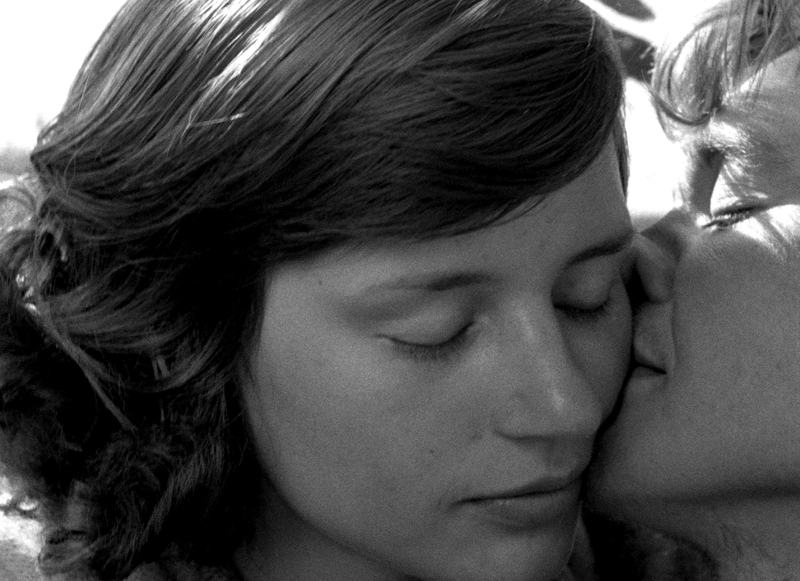 For his part, Bergman never judges or condemns his characters while deflating the ideal of young love with a kind of raw naturalism that is hard to shake. For a film made in 1953, it's surprisingly sexually frank, at least by American standards of the time. 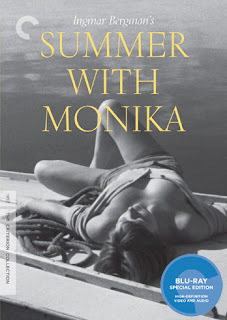 But even Bergman wasn't safe from the scissors of American exploitation filmmakers, who cut Summer with Monika down, added a lurid jazz score and an English language dub, and renamed it, Monika, The Story of a Bad Girl. It completely missed the point of Bergman's original themes, of course, and the Criterion release chronicles the exploitation of Monika and other art house films of the era by American grindhouse producers looking to make a quick buck by exploiting often edgier content of foreign films. The liner notes also includes an article by none other than Jean-Luc Godard, who worshiped the film, saying it was "to cinema today what The Birth of a Nation is to the classical cinema." While I wouldn't go nearly that far, Monika's mastery is undeniable. It's a meticulously crafted, mature take on themes as old as cinema itself. Young love isn't always pretty, and Bergman treated it as something both tragic and beautiful, a dream interrupted by reality. Bergman would go on to make greater, more iconic films, but for a brief period during the 1950s, summer fascinated a youthful Bergman, and the results are truly something remarkable indeed.